When it comes to power for the jobsite or at home, this generator shows em whos boss. 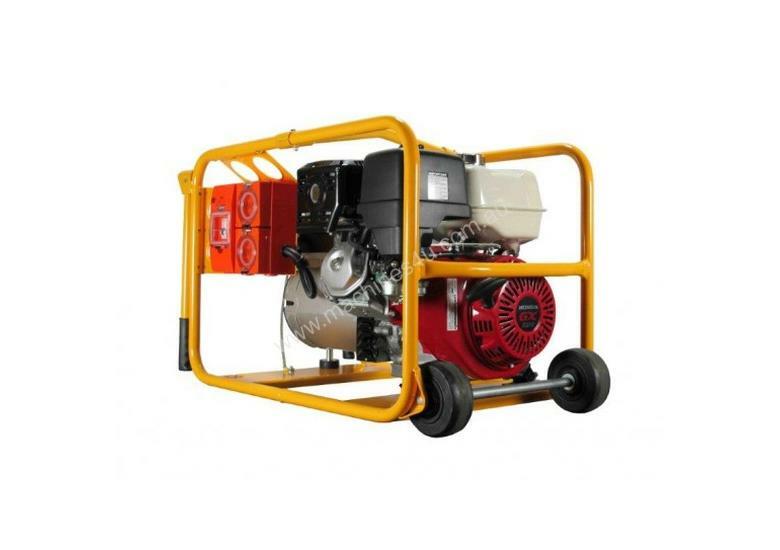 Built and tested by Australia's leading manufacturer of generator sets, it is packed with rugged features to deliver dependable power that meets your trade needs.The generator is powered by a reliable Honda GX390 4-stroke engine with a recoil or optional electric start to drive a totally maintenance free brushless alternator for a continuous output of 6800 watts. 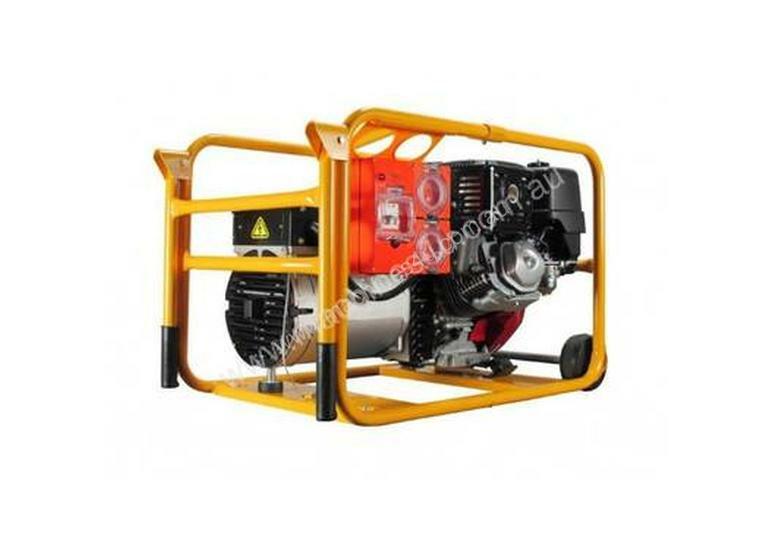 Thats ample power for large and small tools around the jobsite or farm site.Low oil protection fitted to all models.Designed for the rugged demands of workmen all over, its built in a tough fully welded frame complete with heavy duty anti-vibration mounts for smooth operation. The 3-year Honda engine warranty and 2 year Powerlite generator warranty is backed by a national service network has your maintenance needs covered. 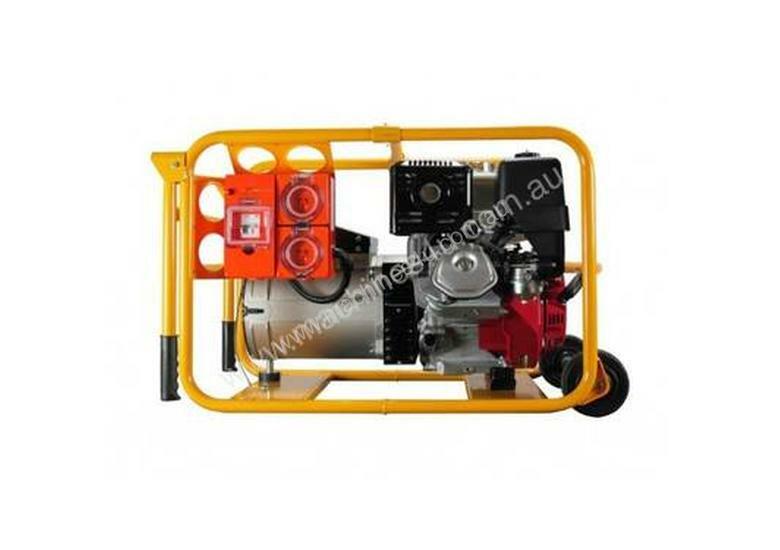 RRP: $3,694Frequency50HzVoltage240VContinuous Output6800wkVA8Alternator TypeMecc AlteEngineHonda GX390Starting MethodRecoilFuel Tank Capacity6.5LCont. Working Time2.8hrNoise 7m74Product Dimensions (mm) LxWxH760x500x540mmNet Weight (kg)70.0 KgOutput Type2 x 15A IP66 rated weatherproof outlets with RCDEngine Warranty3 year engine warrantyManufacturers Warranty2 year Generator warranty, 1 year Alternator warrantyNOTEThis is a portable air-cooled petrol generator designed for short term/standby applications. For prime/continuous power, a stationary water-cooled diesel generator is recommended.